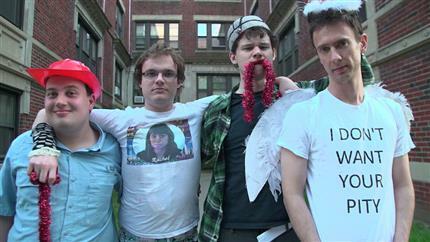 Asperger's Are Us is the first comedy troupe composed entirely of people diagnosed with Asperger Syndrome. They met in 2005 when New Michael Ingemi, Jack Hanke, and Ethan Finlan attended a summer camp where Noah Britton was their counselor. Since 2010, they've written and performed over 100 original sketch comedy shows in 9 countries, and done countless interviews with international press. They stay away from relatable or observational comedy and references to autism, instead focusing on deadpan wordplay and dark absurdism, comedic styles that typically appeal more to a subset of people with Asperger's. Lee Ashcroft is a stand-up comedian/performance artist/spiritual medium/community radio DJ/meditation specialist/ex-vocalist with The KLF/two-time loser of BBC One’s Pointless/failed impresario/light entertainment veteran of fifty years/dementia care professional/future death cult leader*, who just so happens to have an Autism Spectrum Disorder.